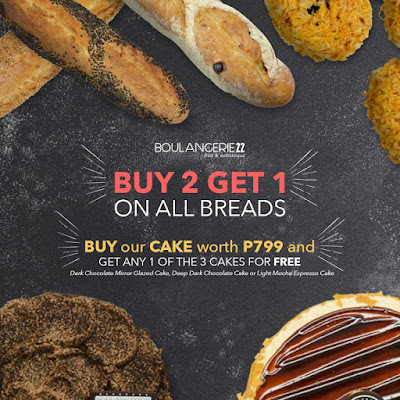 Visit #Boulangerie22 at Lucky Chinatown Mall and SM City North EDSA from February 1 to February 3, 2019 and enjoy special treats! Enjoy Buy2 Get1 on Breads, and Buy a cake worth P799, and Get any 1 of the 3 cakes for FREE! Head over to your favorite Boulangerie22 branch now!